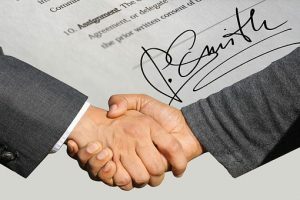 A restrictive covenant is a contractual agreement in which one party receives something of value in exchange for a promise not to engage in a particular type of behavior. Restrictive covenants can bind people or businesses. What Types of Restrictive Covenants Are There? There are many types of restrictive covenants. They most typically arise in the business law or employment law contexts. The most common type of restrictive covenant is a covenant not to compete (a “non-compete agreement”). However, there are many other common types of restrictive covenants. For example, there are covenants not to solicit customers or employees (known as “non-solicitation” or “no raiding” agreements). Are Restrictive Covenants Enforceable In Employment Law? What is the Test for Enforceability of Restrictive Covenants in New Jersey Employment Law? What is a Protectable Interest? In the context of a non-compete agreement, for example, the employer must have an interest more than just antipathy to general competition. The protected interest must be in the nature of something specific, such as trade secrets, customer contacts, or other confidential information. How Long Can a Restrictive Covenant Last? A restrictive covenant cannot be “unreasonably” long in view of all the circumstances. The longer the restriction, the less likely it will be interpreted to be “reasonable.” For example, while most one year restrictions are found to be reasonable, three years are less likely to be deemed reasonable. After that, it becomes increasingly unlikely that a restriction will be upheld. How Large an Area Can a Restrictive Covenant Cover? In theory, the geographical area can be unlimited. However, again, they must be reasonable. For example, in the context of a non-compete agreement, the covenant cannot place an undue restriction on the employee. What is the Employee’s and the Public Interest Involved in a Restrictive Covenant? Generally speaking, the public interest and the employee’s interest are aligned — everyone has a right to make a living. Therefore, when reviewed by a court as it pertains to a particular employee, any restrictive covenant which deprives an employee of the ability to earn a living, or unreasonably restricts that ability, will not be enforced. In a non-compete agreement the geographic scope of the restriction, the time the restriction is in force, and the scope of the agreement are all weighed together in light of the effect on the employee’s ability to earn a living. Thus, a short range, say ten miles, will be more reasonable than the entire world (especially if the geographic scope prevents an employee from working in an entire industry). If the restriction is very narrow, such as working with one particular customer, a wider range might be considered more reasonable. The test is applied on a case-by-case basis, and the lines aren’t clear. Are Restrictive Covenants Enforceable in the Business Law Context? Generally, yes. The most typical area in which this would be seen in business law would be in the sale of a business. Generally, when a party buys a business, it intends to keep the customers and good will of the business being bought. Often, the selling owner of the business will have relationships with these customers and extensive knowledge of the local industry. Therefore, most buyers want to make sure that the selling owner doesn’t steal her customers back or compete with her extensive knowledge of the local market. Generally these agreements are enforced more liberally than restrictive covenants in employment arrangements. The same factors are used as in the employment context, but they are weighed more heavily in favor of enforcing the agreement. What Consideration is Necessary to Enforce a Restrictive Covenant? “Consideration” is something of value. Contracts require an exchange of consideration by each party in order to be enforceable. Since restrictive covenants are contracts, they need sufficient consideration to enforce the restrictions. In the sale of a business, the purchase price in an arm’s length transaction is generally sufficient. In a covenant restricting an employee’s (or former employee’s) rights, hiring or continued employment is generally sufficient consideration. What Remedies Are Available if a Party Breaches a Restrictive Covenant? If a party breaches a restrictive covenant, the non-breaching party may recover the money damages it suffered because of the breach. In addition, it may also be able to an injunction or restraining order prohibiting future breaches. If the agreement allows for the recovery of attorneys fees, this may also be recoverable. Our attorneys negotiate restrictive covenants in both the employment law and business law areas, and we also litigate on behalf of employees, employers, business buyers and business sellers. Call (973) 890-0004 to set up a consolation with one of our attorneys.